Most of us are very familiar with the term SPAM these days. This isn’t in reference to the popular canned meat but rather mostly connected to email. There have been so many different tools created to help protect against spam and companies literally built because spam exists and can be harmful. 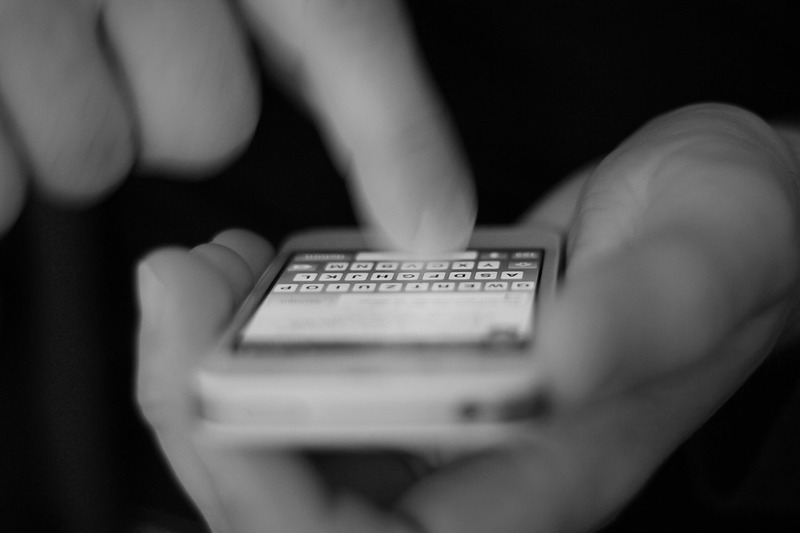 A lesser supported phenomenon in recent years is Spam SMS or Spam Text Messages. These, like much of the email spam, come through on your phone disguised as something that may need your “immediate attention”. 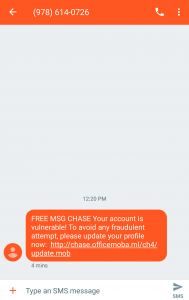 Recent spam that came through on my phone was from “Chase Bank” letting me know that “my account is vulnerable” and I need to “update my profile”. I simply needed to click a link on my phone and I’d be able to update my profile and keep my account from being “hacked”. The problem is that I haven’t had a Chase bank account for at least 6 years now. That was several phones and at least one mobile carrier ago. Who knows what was behind those links but I wasn’t going to find out. Often a great course of action is to do nothing. It seems crazy but often there are bots sending these messages and if you don’t click the link, they can’t get any additional information from you. You can attempt to reply with “STOP” and you’ll often even receive a confirmation text back that you’ve been removed from a list, but that isn’t always the case and they know they’ve got you now so you can expect to receive more in the near future. And the messages will possibly seem unrelated. One of the best things you can do, is let your carrier know. 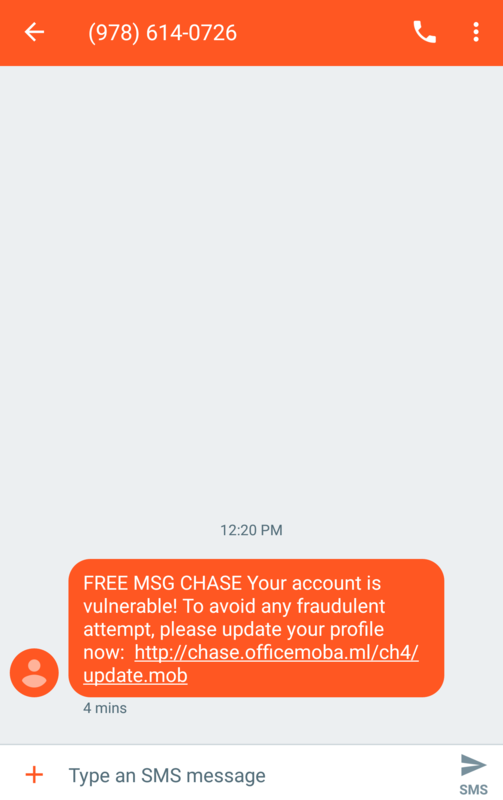 Verizon, Sprint, AT&T, and all other major carriers have a way to report Spam SMS whether that’s forwarding them to a particular number or changing settings on your account. These settings are changing all the time so even if you look them up online, make sure the information you’re receiving if from your carrier’s site and not another site that could possibly…be trying to get your information so that they can send you Spam SMS. How can you avoid this in the future? Like telemarketer phone calls, much of this starts with things you sign up for; a free app, a quote for new windows, ordering from another Pampered Chef party, the list goes on. So be careful where you’re entering your phone number. If it’s not required, don’t enter it. If there’s a check box that ops you into promotional contact, make sure you uncheck it, etc. There is no one way to avoid Spam SMS and not all ways will work the first time. It’s a relatively new form of SPAM/Telemarketing so new things are being developed all the time to fight against it…and new ways are being developed all the time to get through. Pay attention where you’re putting your information…always.